Have you ever been to the dentist office and noticed that there are several different people there looking at your teeth? It may seem redundant but each person actually has a unique job to do. They all completed different training courses. One probably went to dental school for four years. Another probably went to hygienist school for up to two years. And another took a dental assistant course. Each job is important to the health of your mouth. In order to be a certified dental assistant, a dental assistant course must be completed. Dental assistants spend a lot of time directly with the patient. They prep the room ahead of time and sterilize any instruments. They will also assist the dentist with any procedures. Dental assistants also take x-rays and impressions. They can also perform small office tasks. In order to become a hygienist, a person will need an associates or bachelors degree in dental hygiene. 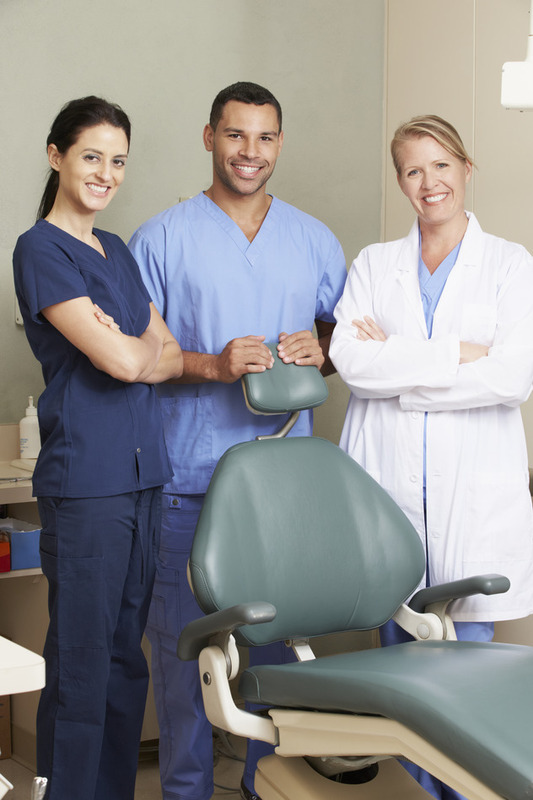 Around the office, some hygienists may share a few of the same jobs as the dental assistant. But, they also attended more training and went to hygienist school. A hygienists main job is to clean the teeth. They keep the teeth clean by removing plaque from the teeths surface. They will also take a full oral and medical history from the patient. They chart the patients current health for the dentist to review. After cleaning the teeth, they will also apply fluoride to help prevent cavities. Dentists are responsible for the overall health of the mouth. They specialize in diagnosing and treating oral diseases. They can fill cavities, remove decay and repair damaged teeth. They also treat conditions of the gums and other parts of the mouth. They also educate their patients on how to prevent oral health diseases. Though they all take a different route to get there, each one is essential to your oral health. Becoming a dentist can take years. But there is a way to get involved in the dental field that’s much faster. Enrolling in a dental assistant course is a great way to start out in the dental field. The care you give to patients may just change their life.